Learn more about previewing your message's subjects and preheaders. 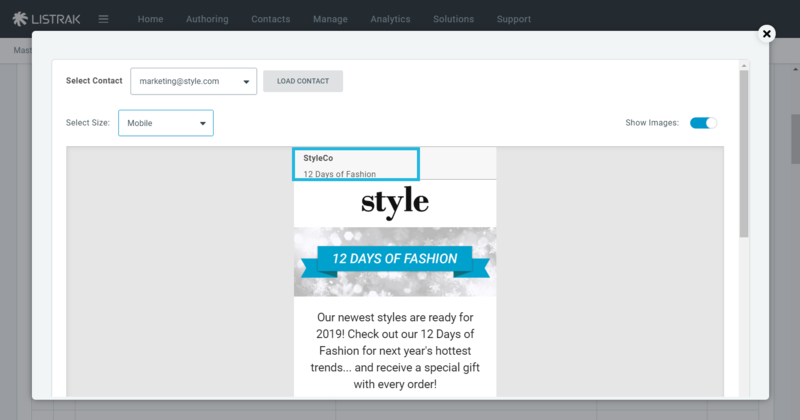 Message previews display the From Name, Email, and Subject/Preheader above the message body. Below is a representative example of how it is displayed in an inbox. 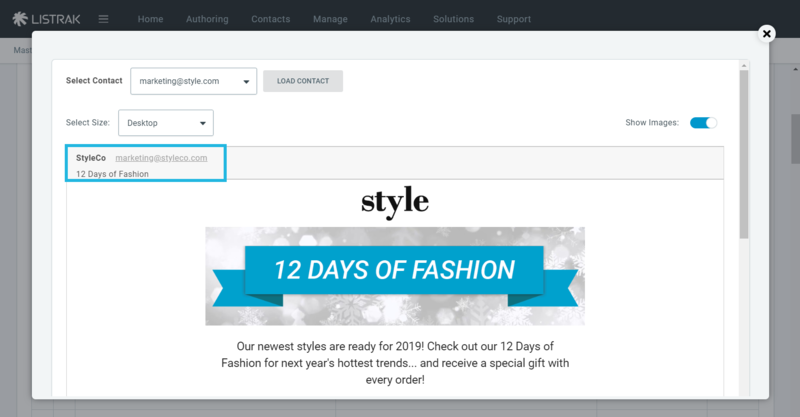 This helps to preview personalized content within the subject or preheader by allowing users to select a contact.